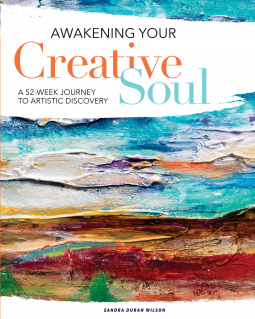 "Awakening Your Creative Soul: A 52-Week Journey to Artistic Discovery" by Sandra Duran Wilson is partially an inspiration, partially step by step mixed media book. Sometimes it is hard for me to distinguish where you should follow your own concepts when even the paint colors are names in the details section, and when you should go on your own, exploring own creativity and values. Beautifully illustrated with the author's example arts, the book is deeply personal and encourages travel down your soul while working on the visual art projects. In fact, one of the projects evolves around a piece of the music, and how you do respond to it. The book is also a very spiritual one, although drawing equally from Native American as from India or other Eastern cultures. Its organization, weekly chapters grouped by the seasons, reflect concepts of Easter philosophy itself. What I did not appreciate at first, but later realized is a part of the mix media art, is how many different suppliers are required to finish any of the projects. Papers, glues, paints, and this is just a beginning. And after you came back from the visit to the local art supplies store, you can also incorporate a number of items found around the house to create three-dimensional construction. At the same time, I recall at least one sculpture project. I would recommend "Awakening Your Creative Soul to people wanting to explore visual arts on the more intimate, spiritual level. I spend a lot of time outdoors - it is my favorite way of relaxing. I simply go for a walk, perhaps take my camera and do some photography on my way. 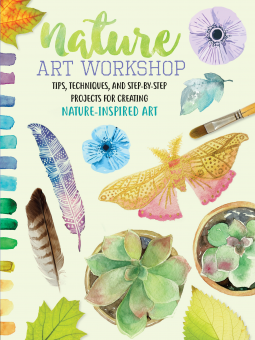 When I picked up "Nature Art Workshop", I got excited about a possibility of finding another creative outlet relating to my time outdoors, allowing me to preserve some of my experiences for the days when the weather or other activities keep me indoors. The projects in "Nature Art Workshop" are of great variety. They are either based on collected items: stones, feathers, petals etc. or are only nature-inspired. Or are a combination of both. They vary in their difficulty. Some consist of simply arranging objects like shells or flowers, on the surface to create a display or a unique centerpiece. More elaborate involve painting on small surfaces like shells or wood slices. Although the step-by-step instruction allows following almost as paint-by-the-numbers. Although wood carving is a more elaborate technique and not broadly known, the related projects take the disproportional amount of space in the book. The technique, tools, and other materials are described in detail. It caused a few of other projects not make it into the final book- but no worries, they can be downloaded separately, for free, on the book website. The one thing I found missing from the book was some kind of Resources section. I could use a list of numerous art supplies used in proposed projects, like brushes, palettes, paint (what kind of paint? is there only one kind?). For beginners, who do not have the most basic art supplies at home, going to the art store can be a daunting and discouraging task. Another thing I found useful in similar books was a template section, allowing the more involved shapes to be copied, preferably at the correct scale. After all, not everybody can sketch even such a simple thing as a bunch of herbs. While I can not wait for spring flowers to try some of the easy projects in "Nature Art Workshop", I am excited that I was reminded of simple roses made of colorful fallen leaves. I suppose many people are familiar with this one from their Social Media streams. I still cannot wait to do it again this year, following the steps in the book. Perhaps I will do another project with remaining leaves? 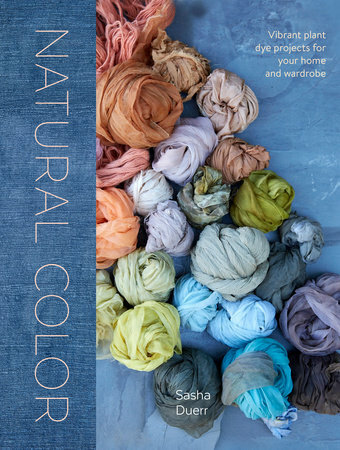 Just few months ago, I have reviewed “Natural color” by Sasha Duerr. 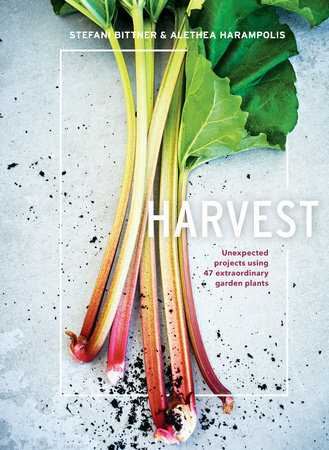 In some respects, "Harvest: Unexpected Projects Using 47 Extraordinary Garden Plants" Stefani Bittner and Alethea Harampolis is similar, and in some, those are two totally different books. Both are beautifully photographed and printed coffee table books in hardcover. They are perfect for a gift. But where "Natural color" was focused on collecting plants for dying fabrics, "Harvest" promotes planting your garden to have plant material available for all kinds of home projects. And utilizing the plant "from fruit to root", in many cases. 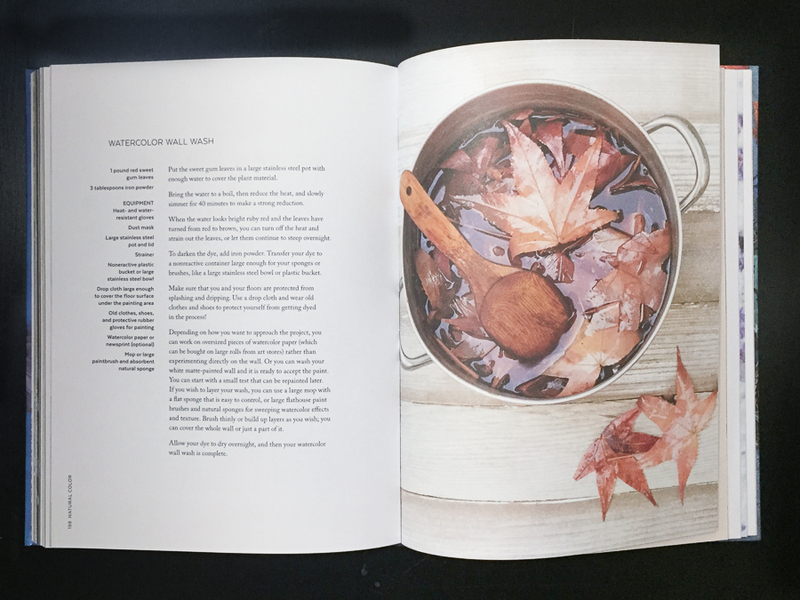 In "Harvest" you are going to find ideas and recipes for all kind of projects: for making food and beverages, skin care products, home remedies and flower arrangements (with all the details on how to arrange the branches for those who like me know nothing about good design!). And these are not the most obvious ideas, for example blueberries are used for natural dye and artichoke for a bouquet. Plants you would not normally think of eating are used as teas, or in butters or vinaigrettes! 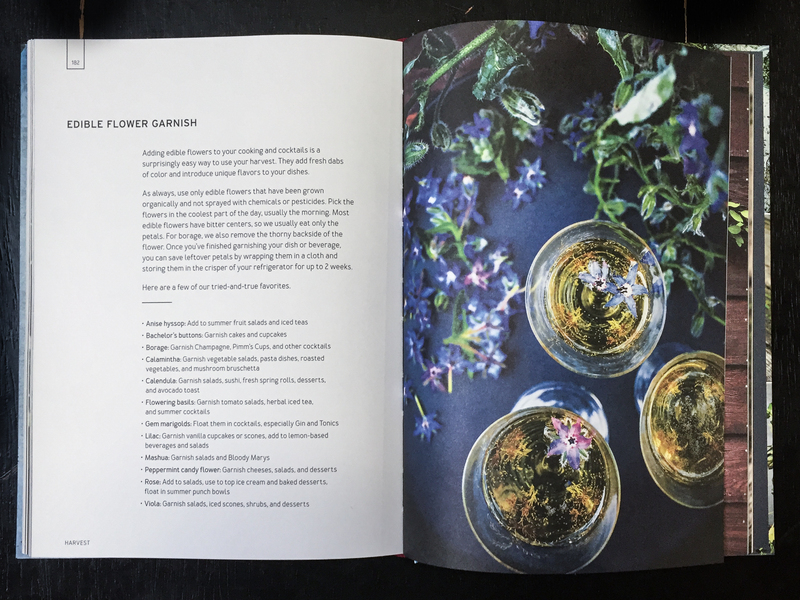 And of course there is plenty on edible flowers and ideas how to incorporate those into salads. The plants in the book are organized by season: early, mid and late. Each plant craft or use idea is preceded by plant description, including gardening requirements like hardness zone, sun and moisture needs. I really enjoyed reading the book, and I am glad I found it just in time to start planning my home garden for this season. I should be able to try many ideas soon! Click on any example book spread to see larger version! I am a photographer, not a painter. 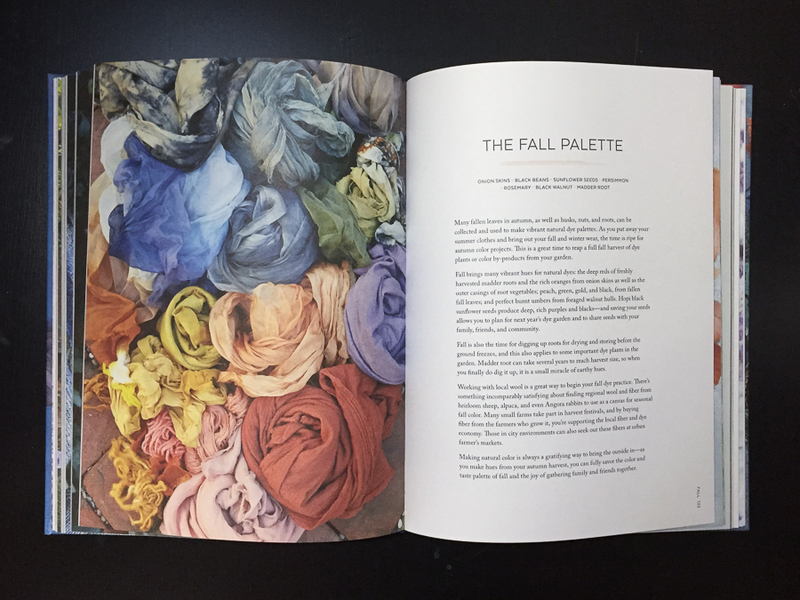 I grabbed the book as the idea of creating daily art and selling it online appealed to me. I wondered what lessons will be more general that I can use them, too. 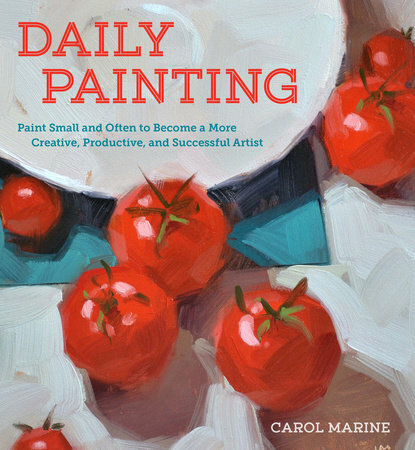 "Daily painting" by Carol Marine is a very hard to classify book. It is a very comprehensive guide - technical, business and inspiration. It explains the concept and advantage of daily painting. Then it goes on to basics of painting - sketching, measuring, mixing colors, composition - all those technical details that make a huge difference in the final output. I learned a lot of tricks I wish I was taught in school when I was struggling in art classes! And some compositional tricks photographers do not talk about (and they should!). Two chapters deserve special attention. In chapters about choosing subject and about artist's block author did not also present her perspective, but included many voices from the industry - other daily painters, with different experiences and subject matters. It adds tremendous value to the book. So do the authors own painting and countless examples of other artists' art, beautifully reproduced, many on the full page spread - on a higher quality, lightly textured paper. Just to browse through the book is a treat. There are few business related chapters as well- where to sell, how and why to start your own blog, how to take pictures so painting looks at its best, how to edit photographs and many more! I finished the book inspired to go back to creating photographs, and maybe even start painting. The first impression of this book is how much care was taken in printing it. The hardcover feels solid, and the colored photographs inside are beautifully rendered and are, by itself, of professional quality. The book was printed on quite thick paper. 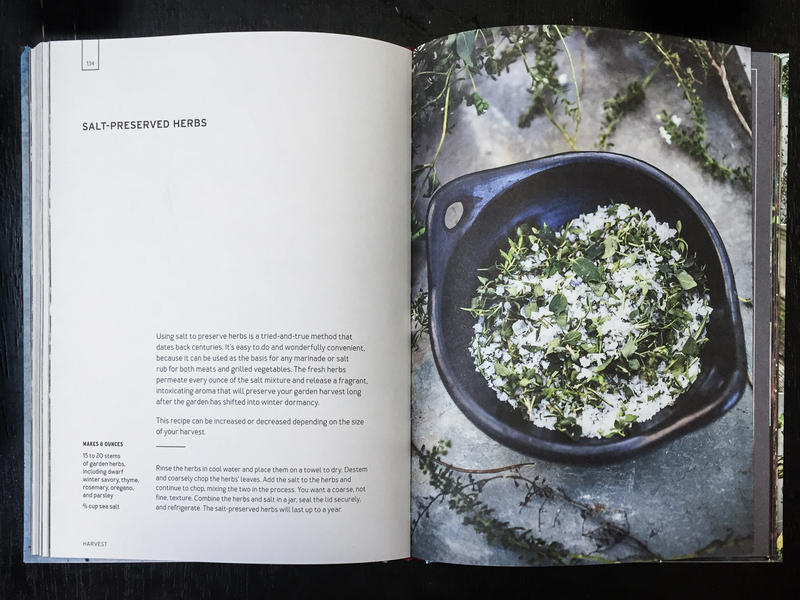 It makes for a perfect coffee table book, and offers a great conversation starter to house guests. But let's not just judge the book by the cover. There is so much more to it. 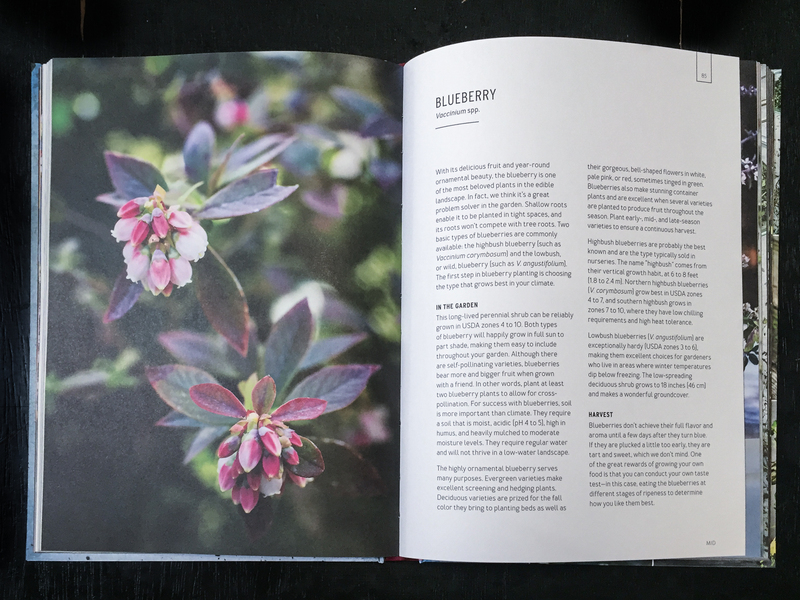 The focus of the book is the use of common plants: fruits and vegetables, flowers, even weeds, to create dyes for assortment of craft projects. Can you guess what part of avocado is used for dyeing? What color can be obtained from redwood cones? The plants dyes are organized by season. For each one, there is a how-to recipe to prepare the dye, with measures per weight of the fabric, and detailed instruction for dyeing. For each one, there is also an example project, from dyeing clothing and linens, to straw hats and woolen baskets! My absolute favorite are rose petal curtains. If you think that following the projects in the book requires any specialized knowledge, this is not the case at all. Everything is included. 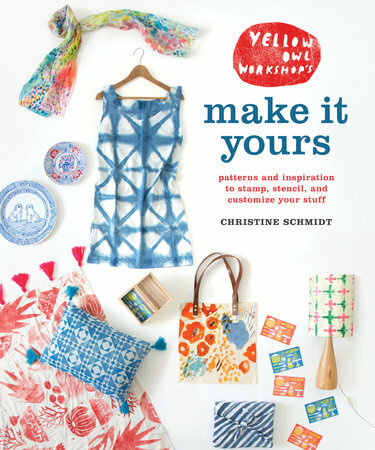 There are chapters devoted to explaining various types of fibers, how to prepare them for dyeing, what additives are needed (not only will you learn what is mordant, but also how to prepare it from old nails), lists of tools and even some techniques for creating interesting patterns! 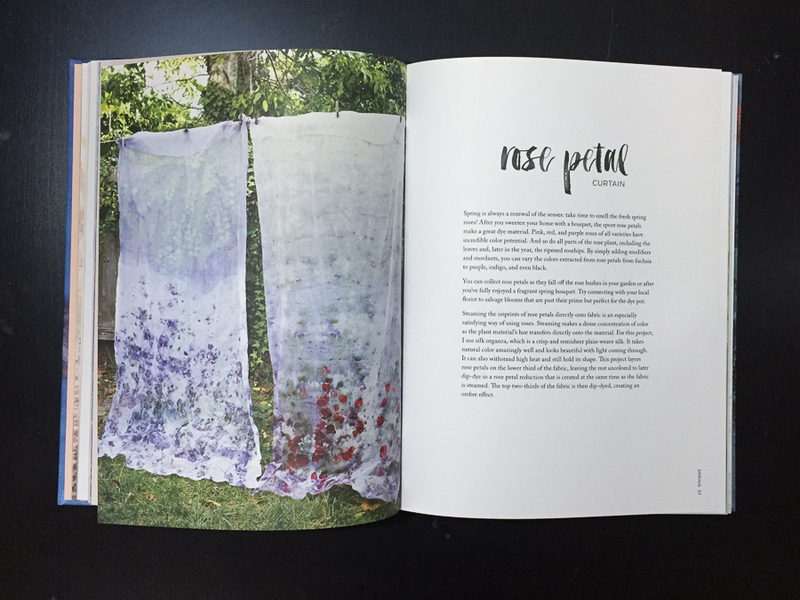 The book is a perfect read for those interested in natural, fun crafts projects. I have received a free copy of the book for the purpose of this review from Blogging for books. Links in this post may contain affiliate code. I was first introduced to fabric dyeing by a friend of mine. We stayed in the same house, and it was passion of hers, so I joined her in dyeing session couple of times this spring. While she did not work with dyes she herself extracted from plant, it was still a fascinating process to observe how she mixed colors and what final result was on the fabric – in some cases not until few days later! When I saw “Natural color” by Sasha Duerr, I was excited to delve deeper into the subject with my typical non-discriminating interest. Was I in for a ride!